Today i was able to guide Johnathan Holmes and his son Jarren from Mississippi. Jarren started our morning off with a nice Flounder. 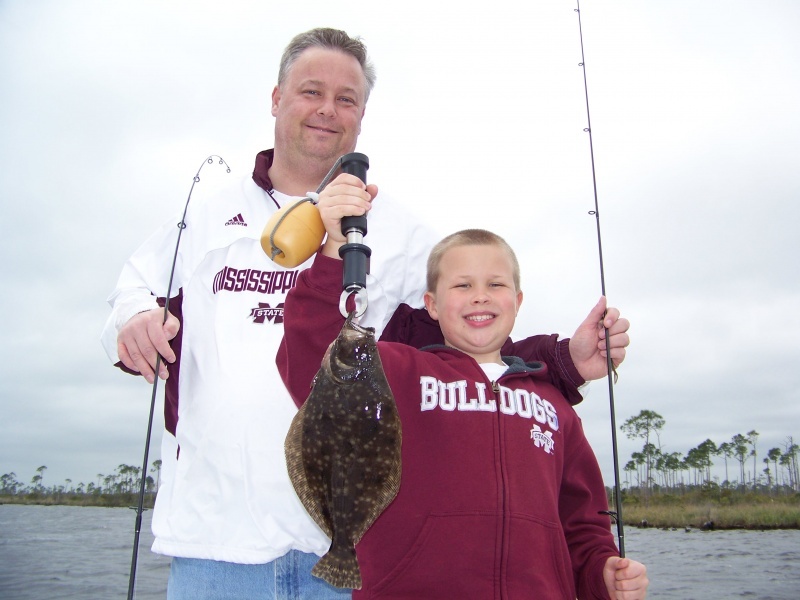 Shortly after he showed us how to catch Flounder he hoisted in the first Speckled Trout. I’m not sure who was more proud of him me or his dad. Before we had a chance to get a fish catching rythem going the wind began to gust close to 20mph and we were looking for fish in areas that were protected from the white capping waves of the bay. Several nice fish were lost during the course of the trip to no fault of anyones thats just the way the chips fell. The bay was holding smaller size Trout and Flounder that were scattered around due to the temperature of the water starting to increase. Jarren did a great job catching fish throughout the day in tough conditions and i enjoyed fishing with the Holmes family during their vacation.